Selling my used, working Honeywell wifi thermostat. Just replaced with a Centralite so I could control locally instead of relying on Honeywell TCC cloud. 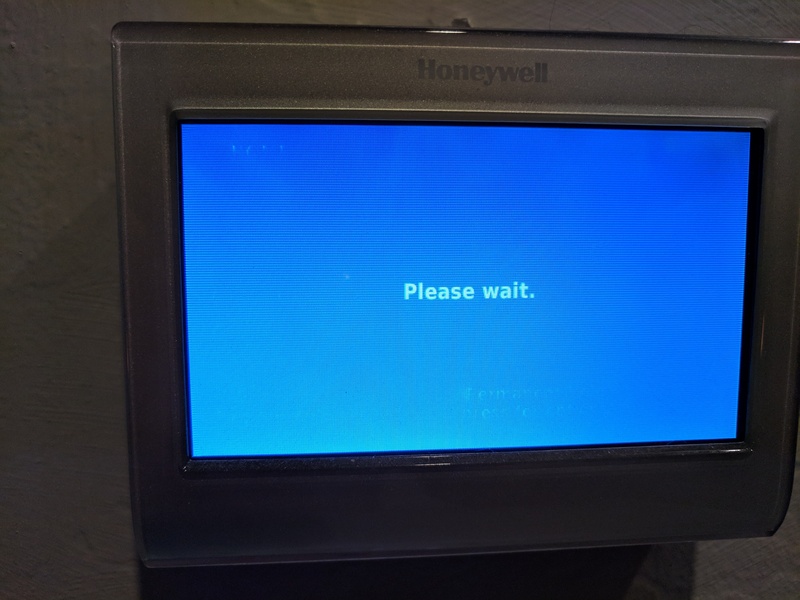 This thermostat works fine. Condition wise, I'd rate it about a 6/10. The bad: There's ding in the top right corner from being dropped once, and the bezel needs to be re-stuck occasionally in that location. 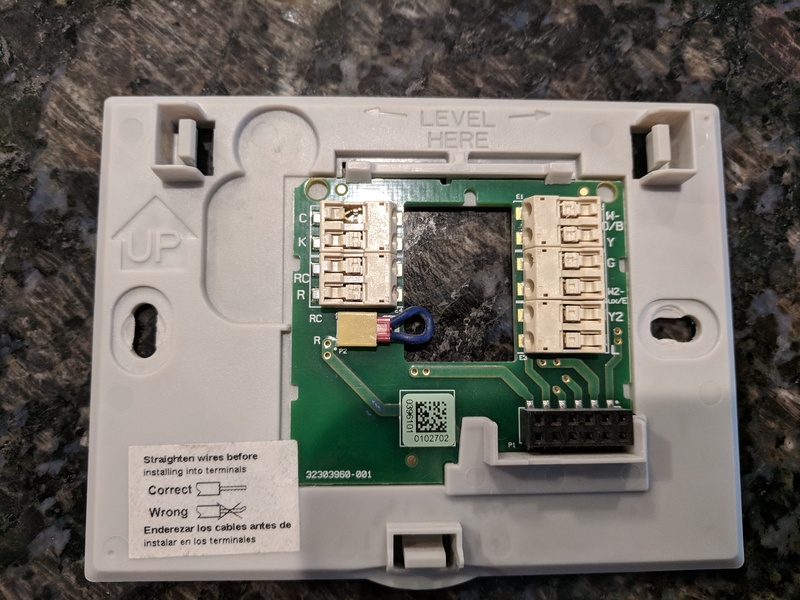 The base plate has never fully locked in to the thermostat, so the top left corner will pop out occasionally and need to be pushed back in. Still works fine when this happens though. I also broke one of the small wire connector cover tabs when removing the wiring a couple days ago. Shouldn't affect operation at all. There's also a bit of screen burn-in from the Home tab label and the Permanent Hold tile. See pics below. The good: it works fine. 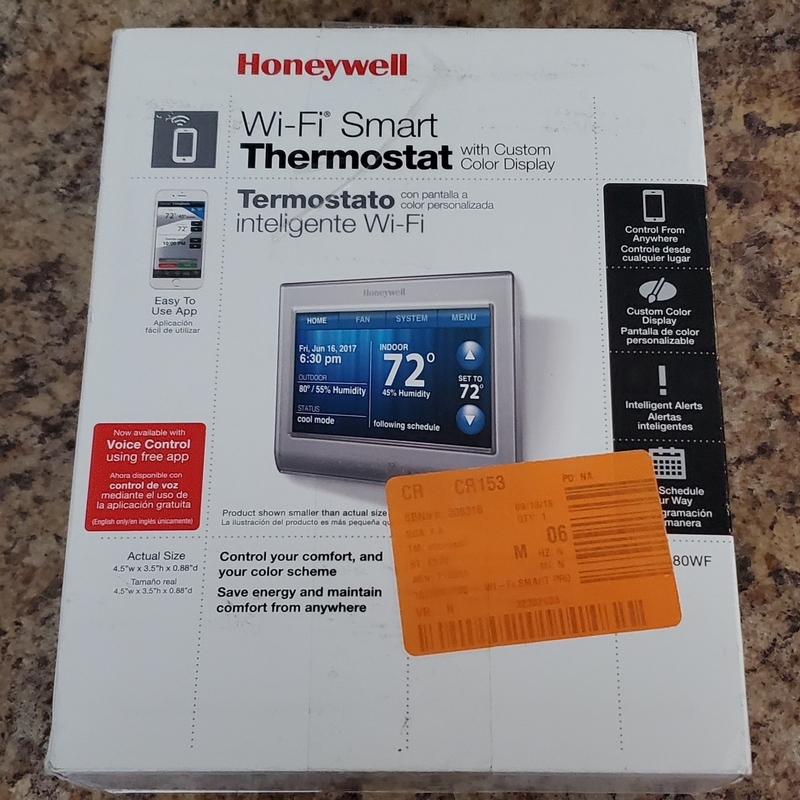 I deleted the thermostat from my Honeywell TCC account and did a factory reset, so it should be ready to go for the new owner. The bezel can probably be fixed with some double-stick tape. 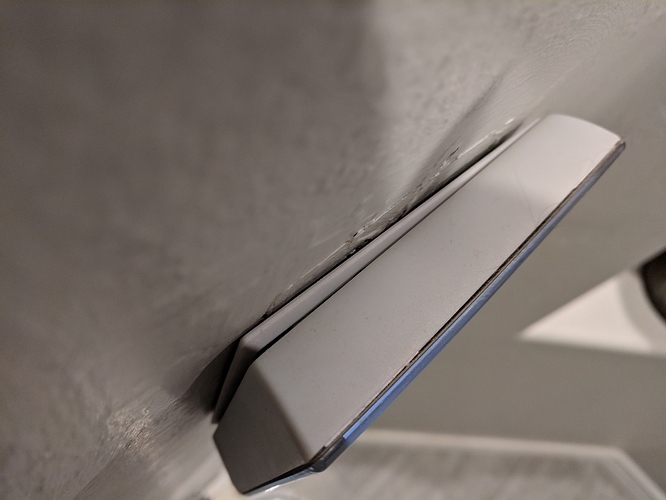 It's possible that the buyer could work on the base plate clips to make them work better too, I just never took the time to do it. 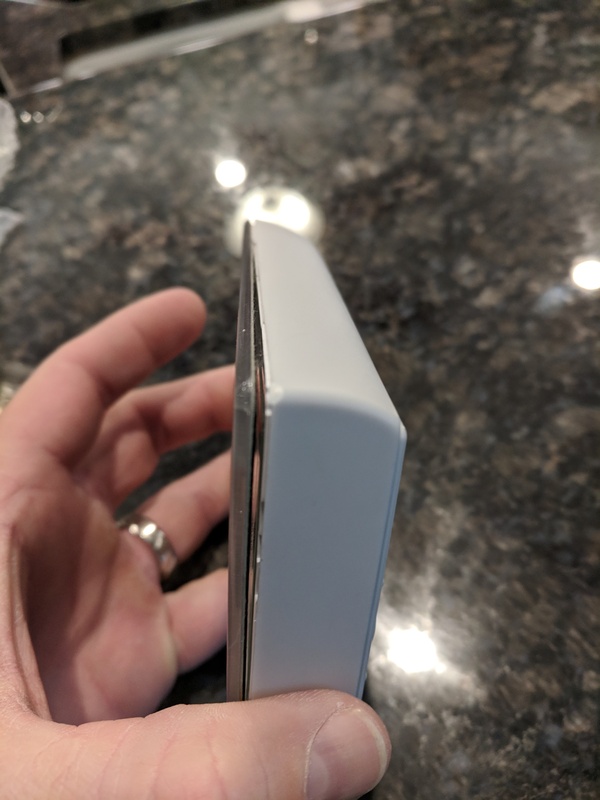 I paid $140 for this new. Looks like they are still going for about that price. I'm looking to get $60 shipped for this one, less than half price. I saw it on ST, I suppose is not compatible with HE, right? 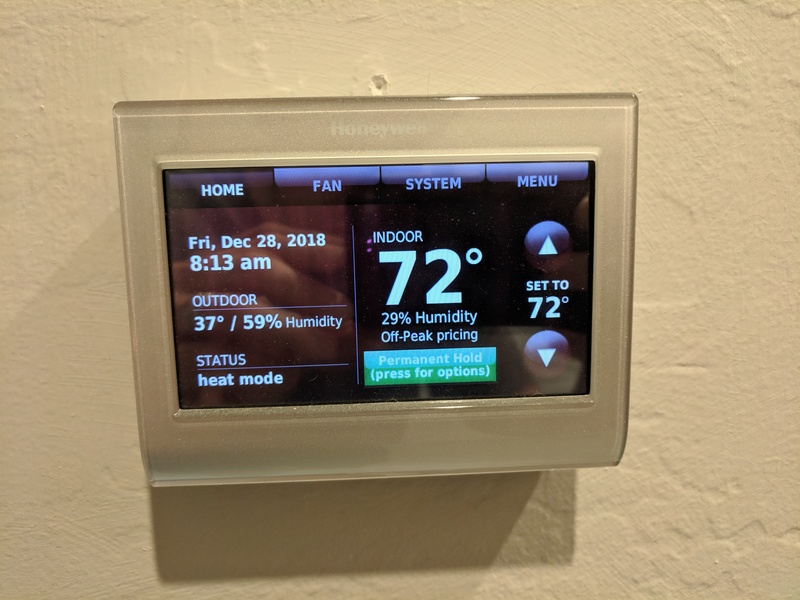 There's a Hubitat community driver for Honeywell TCC. I didn't use it because it doesn't support Permanent Hold function, which I use exclusively since my changes are based on mode rather than time schedules. 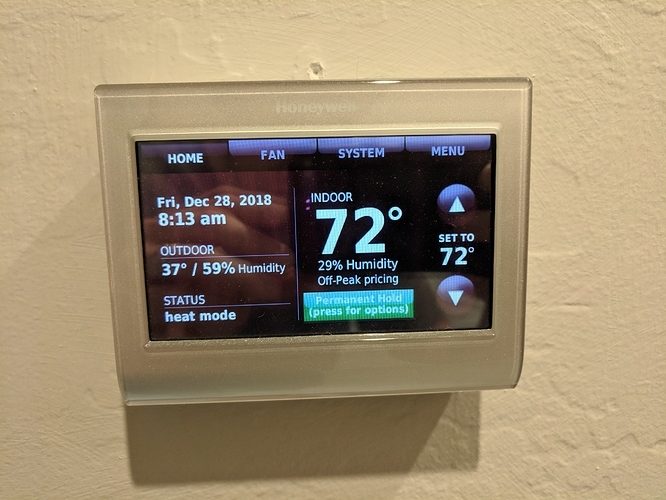 IFTTT does support permanent hold, so I was using Hubitat -> IFTTT -> Honeywell TCC Cloud -> Thermostat for control, worked most of the time, although I did have a few times when the setpoints were not updated correctly for some reason. Bump, still available. Open to offers. This is still available. Cover shipping and it's yours. Fo free + shipping yes! Just want it gone lol.